The holiday season brings joy and jubilation to families of all religious and cultural backgrounds. Teaching elementary school children about holiday traditions and cultural customs they may have never heard of before can be a challenge — but an exciting one. Why is it important to celebrate and understand all of the different holidays? One of the things that makes the holiday season great is the opportunity to celebrate our diversity. Christmas: Christmas is a winter holiday that celebrates the December 25th birth of Yeshua of Nazareth — Jesus Christ. Kwanzaa: Celebrated from December 26th through January 1st, Kwanzaa highlights African American culture, heritage, and traditional values. Hanukkah: Hanukkah or Chanukah is the Jewish festival of lights and lasts for eight nights. Hanukkah celebrates the rededication of the Holy Temple. This year, Hanukkah is December 24th through January 1st. These are the three most common winter holidays. However, you may have students who celebrate other holidays that are not listed here, including Ōmisoka, the Japanese year-end celebration; Shabe-Yalda, or Yaldā Night, the Iranian celebration of the Sun’s rebirth; and Festivus — a humorous holiday celebration that originated on the television show, Seinfeld. Have your students each choose a principle. Next, instruct each student to write a brief story about the principle they chose using colored construction paper. The purpose of this lesson plan is to have your students create their own book with pictures to accompany the story. When the lesson is completed, share each student’s colorful book with the class. 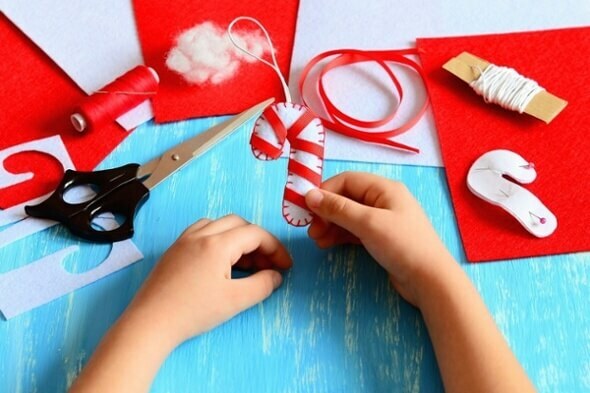 To emphasize this point while also having fun, you can have your students make Christmas ornaments to gift to friends or family members when the activity is over. You may want to stick to a wintry theme — snow, snowflakes, snowmen, reindeer, Santa Claus, and gingerbread cookies, for example. Materials could include string, tape, construction paper (color varies based on theme), glue, and scissors. To help your students understand Hanukkah, you can bring in and light a Menorah and explain the significance of lighting one candle each night with the Shamash Candle. If you are restricted from lighting candles in your classroom, you can use an electric Menorah or paper flames. Another great Hanukkah lesson is teaching your students Hanukkah songs. A fun example is the classic tune, "I'm a Little Dreidel". Happy Holidays from the SafeStop team!